LGI Homes Is Now Selling in Premier Locations in the Deltona-Daytona Beach-Ormond Beach Metropolitan Area | LGI Homes, Inc.
DELTONA, Fla., Nov. 21, 2018 (GLOBE NEWSWIRE) -- LGI Homes, Inc. (Nasdaq:LGIH) is now offering new homes in Volusia County, Florida. These homes are ideally positioned throughout DeLand, Florida and Deltona, Florida and offer easy access to I-4 and US-17. Homeowners will enjoy the close proximity to a variety of major employment facilities in addition to an assortment of shopping, dining and entertainment options. 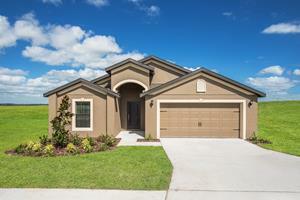 LGI Homes announces a new community open in the Deltona-Daytona Beach-Ormond Beach metropolitan area. New homes are available from the $170s. Here you will find a unique line up of new two-, three- and four-bedroom homes with open floor plans ranging in size from 1,016 sq. ft. to over 1,800 sq. ft. Each and every home comes with over $10,000 worth of included upgrades, builder paid closing costs, spacious kitchens, private master suites, energy-efficient kitchen appliances, ample storage space and front yard landscaping. With brand-new homes in premier locations throughout DeLand and Deltona, this is a once-in-a-lifetime opportunity for homebuyers to own a quality-built home at an affordable price. Prices for these incredible homes range from the $170s to the $220s. Interested buyers are encouraged to call (844) 898-9969 ext 3139 or visit www.LGIHomes.com.